I am truly blessed to be the recipient of so much recognition. 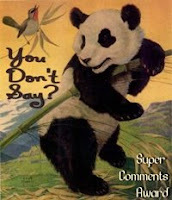 The You Don't Say award (don't you love the panda?) is in recognition of being chatty. Thank you so much to Kristina from Kristina's Favorites and Melissa from Melissa's Bookshelf. 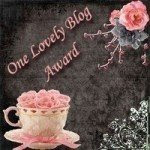 The One Lovely Blog award comes from Sandy at You've Gotta Read This and Margaret from Books Please. The Splash award goes to blogs that allure, amuse, bewitch, impress, or inspire you. Thanks to Melissa from Melissa's Bookshelf and Jackie from Farm Lane Books. 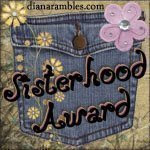 Thanks also to Myza from Books and So Many More Books for the lovely Sisterhood award. 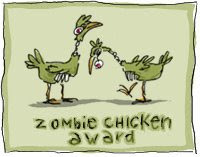 The cool Zombie Chicken award comes from Amy at Addicted to Books. 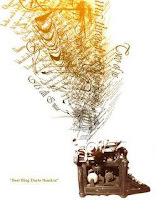 The Premio Dardos award is for transmitting cultural, ethical, literary, and personal values every day. Thanks so much to Pabast from Reading Mama. The Blogger's Best Friend award is given to your most loyal blog readers. Thanks so much to Robin of My Two Blessings. My favorite way to recognize awards and return the joy is to encourage all of you to visit at least one (and I hope more) of the blogs mentioned in this post. They are all interesting and each blogger has added to my ever-growing wish list. Congrats, Beth! You definitely deserve all of these awards! Have you gotten the hint that we love you? Holy cow! Congratulations on all of your well deserved awards. Congrats on all your awards!!! WoW! That is a lot of awards - but they are definitely deserved.